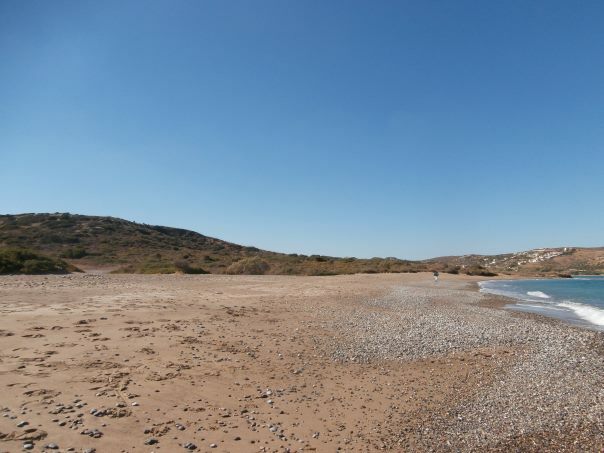 Kouremenos beach lies in the cove Grantes, 87km east of Agios Nikolaos, 20km east of Sitia and just 2.5km east of Palekastro. Umbrellas and sunbeds, showers, lifeguard, beach bars, fish taverns, windsurfing schools, accommodation. 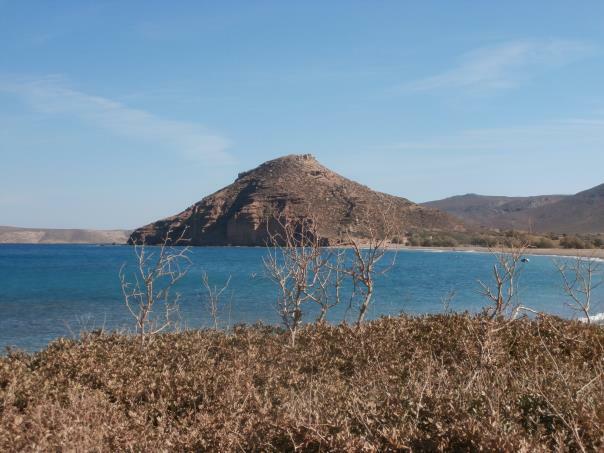 Kouremenos has shallow turquoise waters, relatively warm in the early season, and several tamarisk trees offering natural shade. 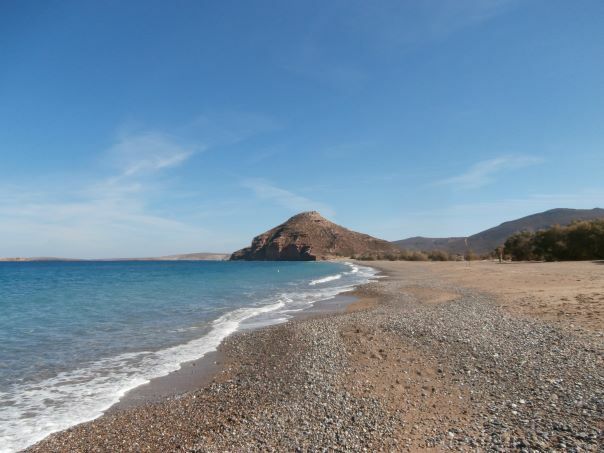 It has a fine brown sand with a rocky seabed ideal for snorkeling. 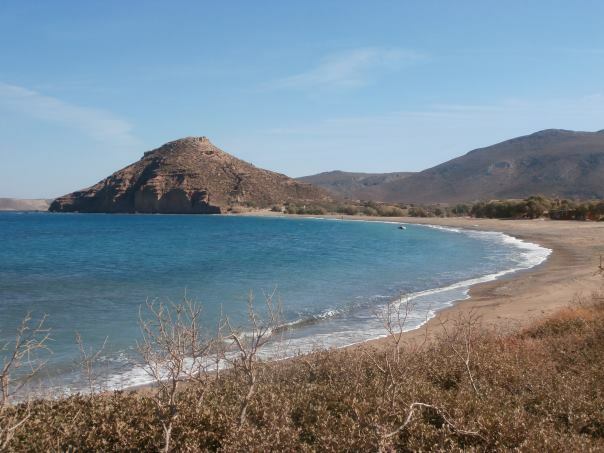 Its 1.5 kilometres length makes Kouremenos the longest beach in the area of Palekastro. 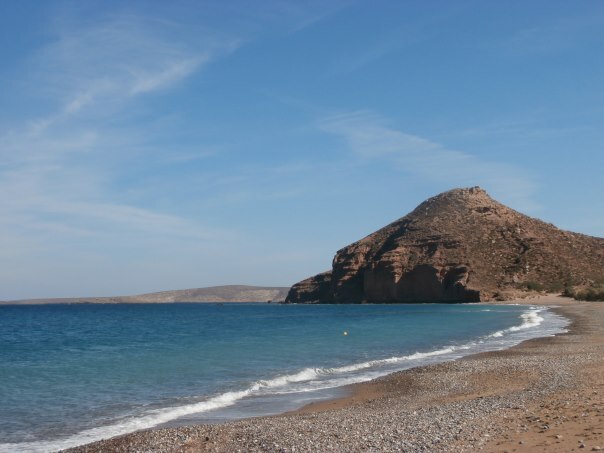 Nudism is practiced at the southeast end under the imposing Kastri hill. 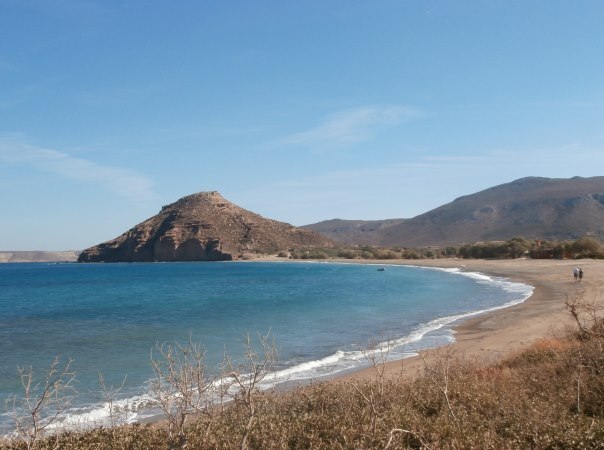 The main feature of Kouremenos though are the strong winds blowing, attracting windsurfers from all over Europe. The wind blows side shore from the left and the wind force is between 4 and 7 Beaufort, with an average wind force of approximately 6 Beaufort during the summer season. The sandy entrance to the sea is marked with buoys and features flat-water conditions so beginners will practice easily and safely. 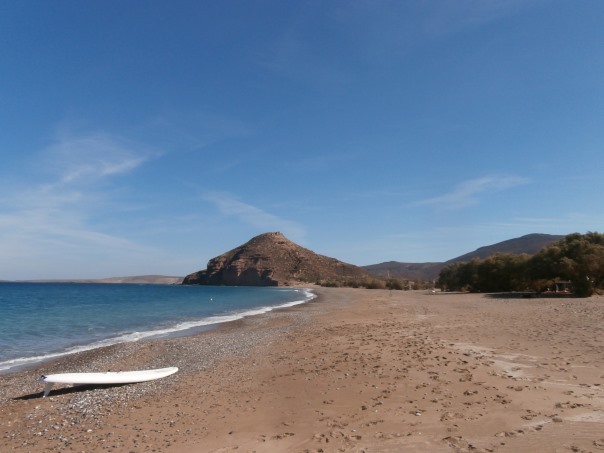 Small waves are developed further out, making it the perfect spot for both the advanced and intermediates surfers. 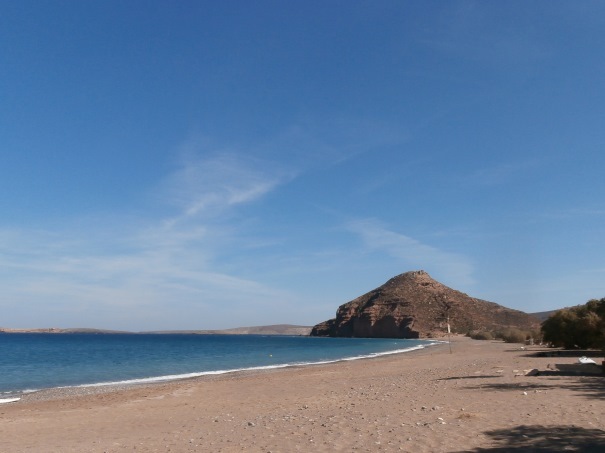 Kouremenos beach is accessible with private or rented cars and motorbikes as well as frequent public buses from Sitia to Palekastro. 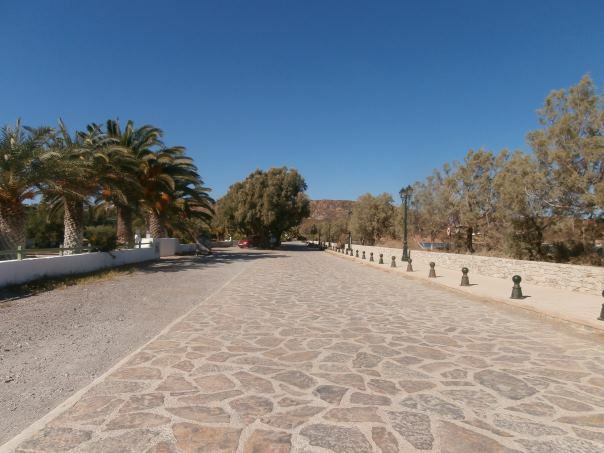 From Sitia you can take a taxi which will take about 25 minutes. 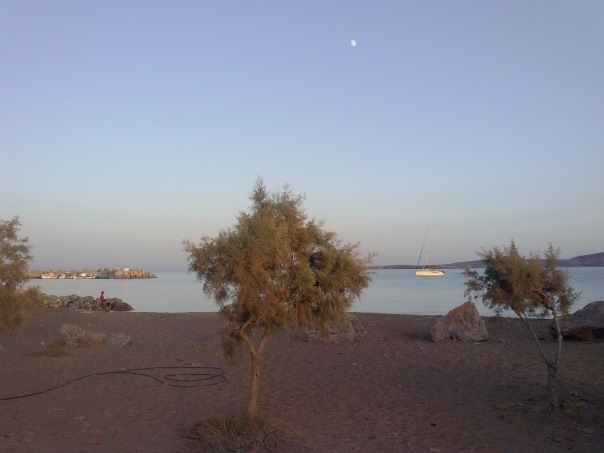 Lovely beach, no wind in September.